WE ARE GRATEFUL for all who helped us not only reflect the spirit of the season, but to support the COTS spirit of service throughout 2017. Without meal ministers, donations of time by service providers, grants, and monetary and basic needs gifts donations, we could never achieve so much! 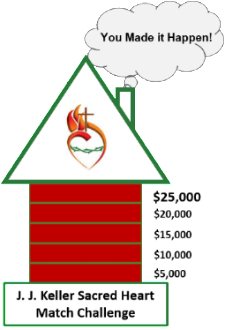 Our blessings doubled when, due to the generosity of so many, we were able to meet the J. J. Keller Sacred Heart $25,000 Match Grant challenge. 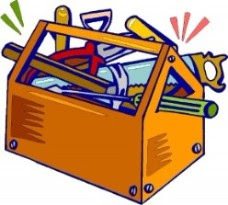 As we continue renovations and preparations for opening the doors at COTS Sacred Heart, these funds will provide a solid start to this on-going program. The Partnership Community Healthcare Center (PCHC) at COTS has made great strides in helping our program participants receive needed assistance. Since the clinic opened in 2016, staff members have provided 554 primary care appointments with residents and Aftercare participants. In 2017, residents completed 145 Healthcare Access Education sessions. Thanks to the talent and expertise of the PCHC staff, and YOUR support of these initiatives, we can ensure ongoing emphasis on health and welfare advocacy for the people we serve. 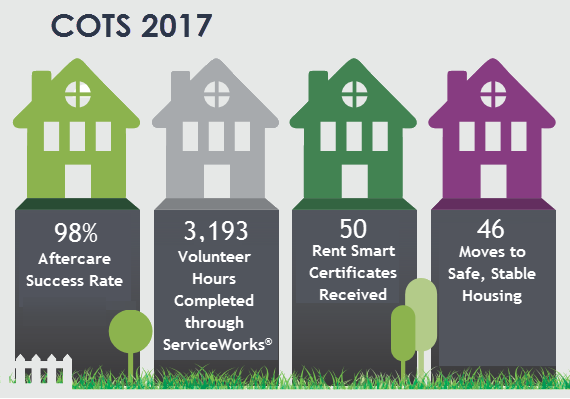 COTS buildings provide a transitional home for members of our community who are ready to make changes that lead to safe, stable housing and self-sufficiency. It is a place our residents can call ‘home’ while they work toward building a better life. The staff at COTS partners with many amazing donors and service providers to keep the place safe, warm, and dry. But what happens when the physical buildings that provide the place our folks call ‘home’ begins to show the deep wear and tear that happens simply from the passage of time? Just like most of you would, we called in some experts – the great folks at Bassett Mechanical – to help us assess COTS’ deeper facility needs. Bassett representatives uncovered some serious building infrastructure issues. We want to fix these problems for all those who rely on COTS to be their temporary ‘home’ as they strive for positive changes in their lives. Even with the incredible talent of the Bassett team members assisting us, COTS will need your help. The three basic needs for any human being are food, clothing, and shelter. Your generous donation can help us ensure the buildings providing the physical shelter our residents know as ‘home’ will receive much needed infrastructure updates. You have the power to help COTS remain strong and accessible to the most vulnerable among us for many years to come.